Are you struggling with migraines, an injury or chronic pain? Join local wellness practitioners to learn alternative methods to find relief. 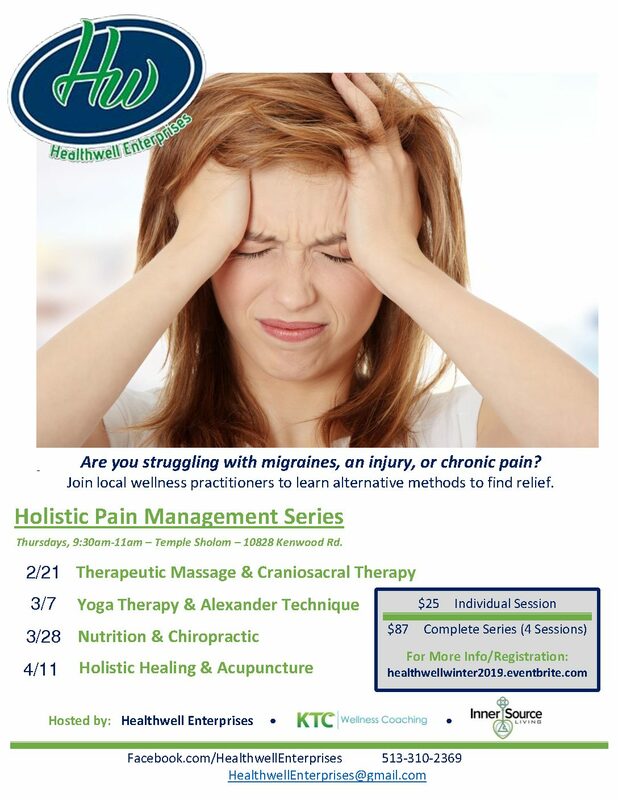 Healthwell Enterprises Holistic Pain Management Series will be at Temple Sholom beginning Thursday, February 21 – April 11th, 9:30 – 11:00 am. Cost: $87 for the complete four part series or $25 per session.